PHOTO: Hilton’s newest Istanbul property comes 59 years after its first Istanbul hotel. 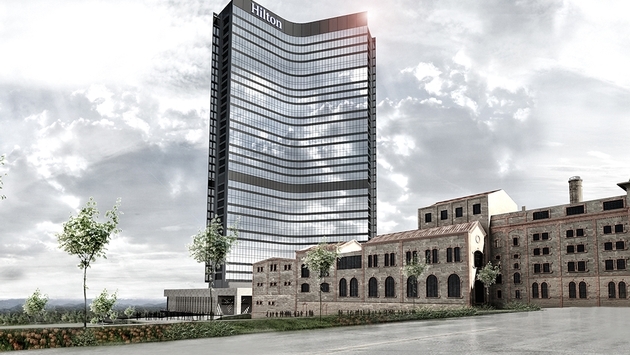 In January, the 829-room Hilton Istanbul Bomonti and Conference Center will open as the latest Hilton in Turkey. The 35 story hotel will open in central Sisli, adjacent to the former Bomonti Beer Factory, which is being renovated to provide more meeting space. The Beer Factory’s renovation will preserve the urban chic that is so popular these days. The hotel’s rooftop bar, Cloud 34, will have panoramic views of the city and the Bosphorus. Hilton opened its first Turkish hotel in 1955 on Istanbul’s Taksim Square. 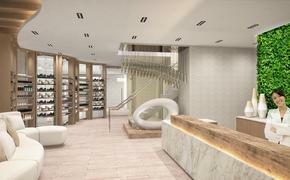 The Oetker Collection opened its newest property on Dec. 11, L’Apogée Courchevel, in Le Jardin Alpin in the French Alps. The hotel’s restaurant is supervised by Meilleur Ouvrier de France Franck Ferigutti. The hotel also offers a spa and wellness center featuring a number of treatment rooms and a pool as well as its own private ski lift, enabling guests and diners to ski in and out of the resort. In April, tennis star Andy Murray will open a hotel near Dunblane, his hometown in Scotland. The Cromlix, fashioned from a Victorian mansion, will have 10 guest rooms and five suites. Set in 34 acres of forest, the hotel will be a member of Connoisseurs Scotland. The hotel has undergone nine months of renovations. Besides having rooms named after great Scots from William Wallace and Robert the Bruce to Sir Arthur Conan Doyle and Sean Connery, the hotel will have a dining room, two drawing rooms, conservatory, library, reception hall, whisky room, bar and an on-site chapel (good for small weddings of up to 30 people). The hotel will also feature a tennis court and practice wall as well as facilities for archery, billiards and in-room spa treatments. Michael Achenbaum of the New York-based Gansevoort Hotel Group will develop its first project in Europe – a luxury lifestyle hotel in East London’s Shoreditch district at 45 Curtain Road. The project is scheduled to break ground early next year. The $98 million hotel project will complement the edgy, urban vibe of the up-and-coming neighborhood. The 120-room property will offer a restaurant, bi-level bar, rooftop pool and lounge, 24-hour fitness center, over 6,000 square feet of meeting and event space. Architects Dexter Moren Associates and interior design group Design DMU will pay homage to the district with designs inspired by the local street art scene.